Bone Soldier did in fact return this morning, but it was none other than former NOAH star Taiji Ishimori. 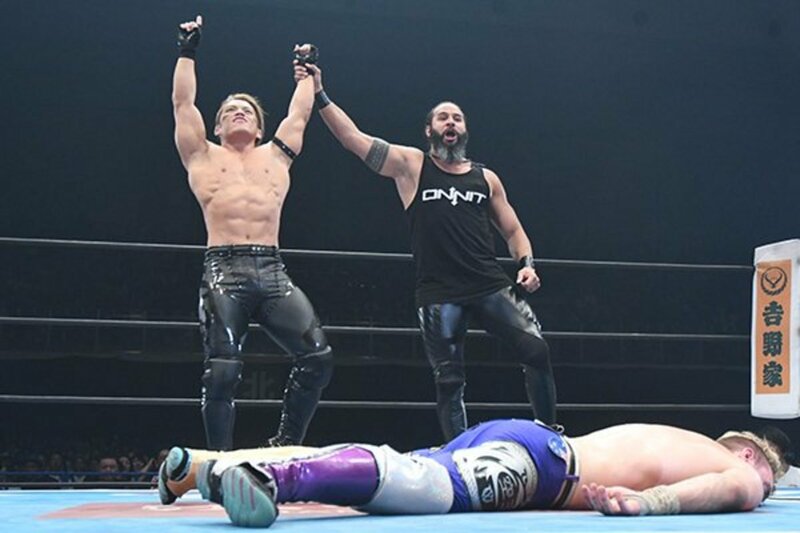 Ishimori made his debut this morning at Wrestling Dontaku, jumping Will Ospreay from behind after successfully retaining the IWGP Jr. heavyweight championship. Tama Tonga, who distracted Ospreay before the attack, then took off the Bone Soldier mask revealing Ishimori as the new Bone Soldier and the latest member of the Bullet Club. It seems likely he’ll be a part of the Best of the Super Juniors tournament that takes place later this month. Originally trained in the Toryumon dojo, Ishimori had been a staple of Pro Wrestling NOAH since 2006, starting as a freelance wrestler and eventually becoming a staple of their junior heavyweight division. He won the Junior title on three occasions and the Junior tag team titles on six occasions. He left NOAH back on March 12, citing people like Shinsuke Nakamura and Hideo Itami inspired him to travel around the world. Since his departure, Ishimori has competed for PWG as well as Impact Wrestling.